Marketing automation is not a new concept. Though it has gone through a few name changes over the years, it has still been a tool in the marketing arsenal for the last 8 years. Even though it has been around for a while, only 16% of B2B companies are leveraging it as part of their sales and marketing strategies. But how many B2B companies need it? All of them. You may be asking yourself why you should use it when so few currently are. Let’s start out with what marketing automation is since many people are not familiar with it. The definition of what marketing automation is differs slightly among organizations, but the bottom line is that it’s a software platform that helps marketing departments become more efficient by automating repetitive tasks and market more effectively across multiple channels online. Whether it’s social media, paid advertising, content or email marketing, a marketing automation platform supports and automates these activities, and bridges the gap between sales and marketing departments. It also greatly increases business intelligence capabilities to track the full ROI of all of your marketing efforts. It’s actually quite simple. Let’s say you are running a PPC campaign through AdWords to promote your new product called “Widget”. You set up and launch your AdWords campaign and create a landing page about the new Widget product. A user finds your ad through a Google search and clicks on it. They hit the landing page and think, “Wow, I must have this,” so they fill out the form on the landing page. Now the marketing automation kicks in. The form, or maybe the entire landing page, was hosted through the marketing automation platform. Upon the form submission, the platform sends an automated confirmation email to the user personalized around the Widget product. The user’s form submission information is sent to the CRM along with a wealth of other information about who they are, where they came from, etc. The next day, the sales team follows up with the prospect. 24 hours after the form was filled out, another automated email is sent to the prospect sharing a white paper about the new Widget product. While the sales team continues to work on sealing the deal, another email goes out 3 days later with a case study about the Widget product. After a week, the deal closes. You can now track the entire lifecycle of the lead from the time they clicked on your ad, what ad they clicked on, to the emails they received and opened, all the way down to when the deal closed to see the full ROI of that single ad click. Years ago, vacuum manufacturers would send out door-to-door salesmen. The salesmen would knock on a door. If nobody answered, they would mark it on a sheet of paper to come back later that day or the next. If the person did answer, they would try to get an invitation to give a demo of the vacuum. Sometimes they would close the deal that day, sometimes they would have to follow up a week later, and sometimes they would not close the deal at all. Three months later, that salesmen would return to previous customers to see how they like the vacuum, if they’d like to purchase another vacuum for a relative, or if they’d like to buy any accessories for it. Sales cycles are much different these days. Everyone and everything is online. The movement to online sales has enabled businesses to cast much larger nets to reach the entire country or world, and it allows businesses to be much more efficient about it. However, a lot of that personal interaction and true salesmanship has been lost because people are buying through a device instead of a person. It’s also much easier to ignore a salesman now. Marketing automation helps bridge that gap that was lost when sales switched to an online atmosphere. 9 out of 10 B2B buyers begin their buying cycle online. Identify, track and engage with online buyers – even if they don’t provide you with much or any personal information? Automate the process in which you qualify leads? Convert online buyers into real people that you can put a name to and understand their needs? Fully measure the ROI of all your marketing efforts from initial discovery to the deal closing? 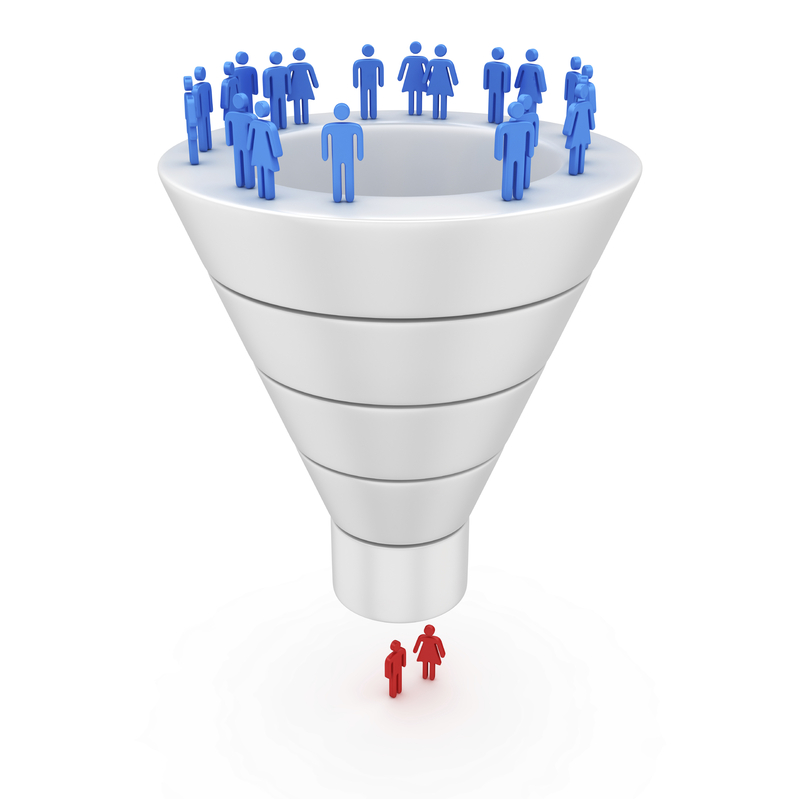 Effectively manage hundreds or thousands of leads per salesperson? Fully optimize your sales cycle to accelerate buying decisions and increase close rates? Nurture your leads without actually nurturing them? Marketing automation enables companies to do all of that. It’s a must-have for any B2B company. It’s the gateway to being successful with online marketing efforts without losing the benefits that can by had through face-to-face sales. Are you interested in optimizing your sales cycle through marketing automation? Contact us here to learn more about our marketing automation services. Harrison Jones is the VP of Digital Marketing at MWI. With over 10 years of digital marketing experience, he specializes in SEO, PPC, content marketing, analytics, conversion optimization, usability analysis, and information architecture. He writes for several industry-leading publications including Search Engine Land and Search Engine Journal.